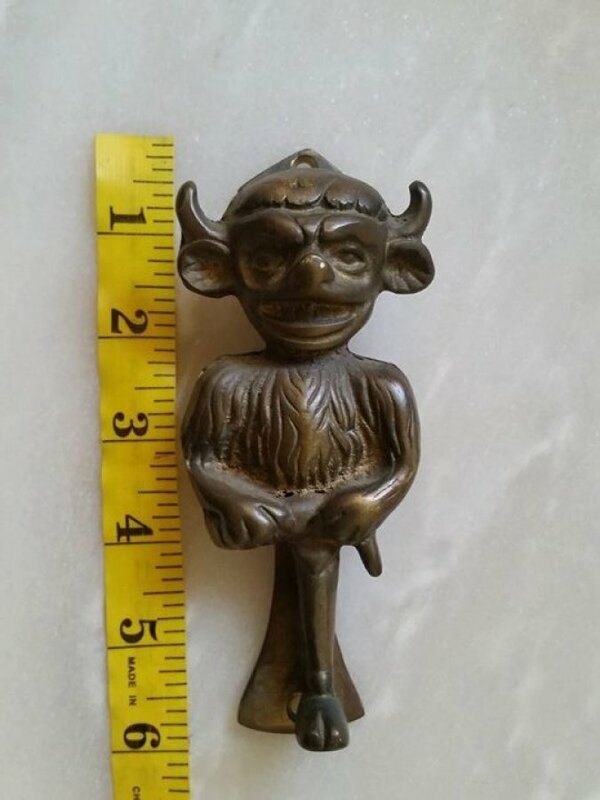 I found this awesome looking Lincoln Imp door knocker when I bought a old home over 20years ago. It looks like solid brass and is just on 6inchs high (15.6cm) and great working condition. I cant work out how old he is and from what era ... very intersted in his worth? can anyone help?